Since the Ezio Trilogy ended, the Assassin’s Creed franchise hasn’t featured tombs to explore. Thankfully, 2017’s release of Assassin’s Creed Origins brought them back with the advent of pyramids. The forthcoming Odyssey entry is committing to tombs, as well. Similar to the pyramids in Assassin’s Creed Origins, the tombs in Odyssey end with the player finding a special seal. The seal grants players an ability point to spend on leveling up skills. Each pyramid in Origins featured yellow stones called silica. Collecting 50 silica and activating all 12 Stone Circles, another of the game’s many collectibles, unlocked the special Isu armor. If something similar is at work in AC Odyssey, such information has yet to be made public. 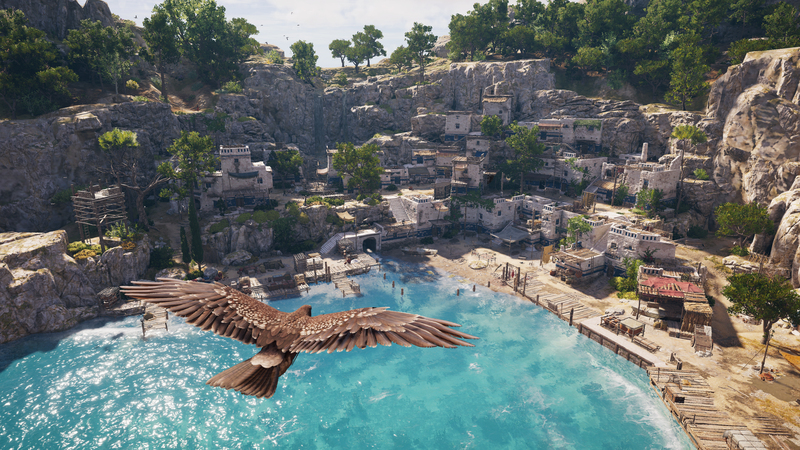 The tombs in Odyssey, akin to Origins‘ pyramids and tombs from earlier Assassin’s Creed entries, will not be a walk in the park. They are essentially large challenge areas with puzzles to solve, traps to navigate around, and enemies to defeat. This much is on display in the walkthrough for the Tomb of Orpheus above. The number of tombs featured this time around has also not yet been detailed by Ubisoft. But the wait to find out for ourselves is quickly coming to a close. Assassin’s Creed Odyssey releases on the PlayStation 4, PC, and Xbox One on October 5, 2018.